In the 60s and 70s the sun was viewed as the best way to get a healthy, golden tan. A bit of sunburn, blistering and peeling was all worth it to achieve the ultimate fashion accessory. Tanned skin was in. Tanning oil and reflector blankets were used to speed up the process, and these types of products were marketed to consumers. If sunscreen was used at all, it would have had a maximum rating of SPF8. This is a even less than the SPF15+ tinted moisturisers which we see on store shelves today. Solariums first came into existence back in 1920, but they really began to gain popularity from the 70s. Until fairly recently, solariums were commonplace in beauty salons and thought to be an easy to way gain a streak free tan. Over time, the dangers become more evident and they were eventually banned in Australia. In WA this ban came into effect at the beginning of 2016. While there are still some illegal sun tanning beds around, the ban has been a positive step forward. Unfortunately, a love of the sun and the burn has caused lifelong problems for many Australians. Two in every three Aussies will receive a skin cancer diagnosis by the time they are 70 years old. This is often due to previous sun exposure or solarium usage. Along Came SLIP SLOP SLAP! In 1981 things really began to change and this all started with a campaign which was funded by public donations. 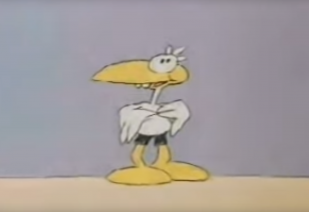 Sid the Seagull became the face of Slip, Slop, Slap which was first designed to promote sun awareness. Over the following decades, this campaign has had a huge impact. Melanoma rates have dropped significantly and we have learned more about the risks from the harsh Australian sun. Slip on a shirt. This should be long clothing which covers as much skin as possible. Slop on some sunscreen. SPF 30+ is the basic recommendation, but SPF 50+ is better. Always read the application directions on the label. Slap on a hat. Look for a broad-rimmed or legionnaire style which covers the face, ears and neck. Seek shade. Stay under cover when outdoors, and avoid the hottest part of the day. Slide on some sunnies. Your eyes can be damaged from the sun, just like your skin. Choose sunglasses which meet Australian standards. One thing we have learnt over the years is that the only safe tan…is a fake tan! If you aren’t ready to embrace your natural self, read our fake tanning guide. Formulas have improved, and you can have a spray tan, use a mousse, apply a daily gradual tan, or add a pop of colour with a bronzer. If you have noticed any skin abnormalities, we recommend a full skin and body check. Contact us today to book an appointment.